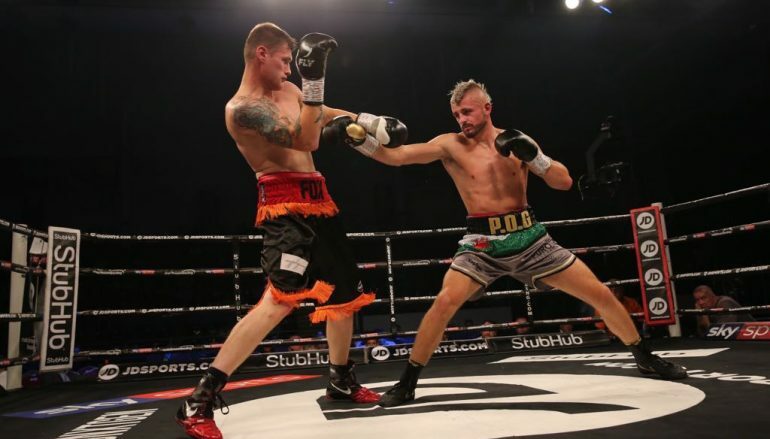 Blackwood’s super-middleweight Kody Davies (6-0, 2KO) hunted Wiltshire’s game Anthony Fox (5-12-4) and earned an educational sixth professional win. 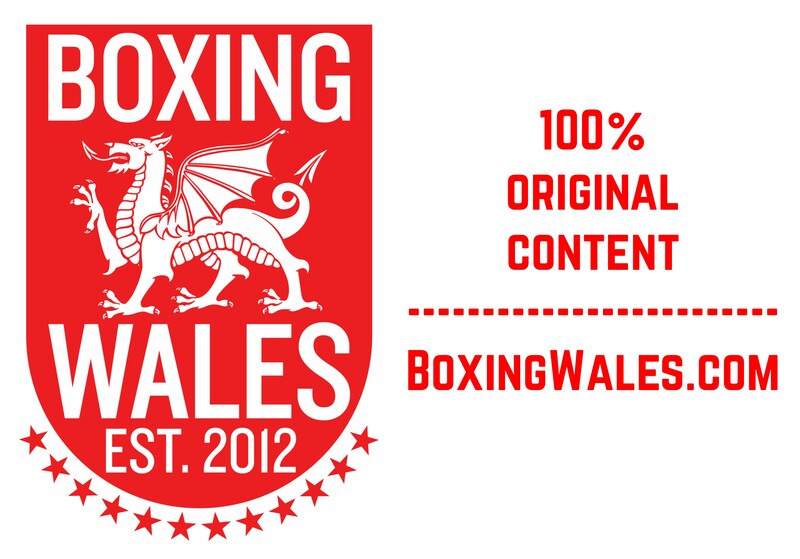 Referee Martin Williams scored the six round contest 60-56 in favour of Davies, who didn’t drop a round but shared two even sessions on the undercard of Matchroom’s #JDNXTGEN show at the Ice Arena Wales in Cardiff Bay. The slick southpaw, who has been active with six outings in the last 10 months, feinted his way forward in the opening round and kept Fox wary with repeated, albeit tentative, threats. Eager to end the stand off, Davies introduced his jab with more frequency in the second round and by the end of the session, a small mouse started to appear under Fox’s left eye. 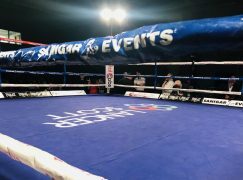 There were several tense clinches and they cancelled each other out when meeting chest-to-chest, which caused referee Martin Williams to issue the pair with a reminder to clean up their action at the start of the third round. Davies, who typically stands with his hands low by his waist, became more compact in the fourth round. His attacks forced Fox to square up on the ropes and afforded the Welshman space to land hooks around the sides, particularly to the body. 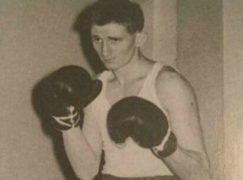 Cornered by former world champion Gavin Rees, Davies’ output grew as the rounds progressed. Fox came to Cardiff with five wins in his last six outings but that form wasn’t to be seen when Davies became more blatant in his pressure. The former heavyweight’s natural size advantage came in to play and Fox didn’t own the strength to persuade Davies backwards. Having established a clear lead, a relaxed Davies conceded ring position at the start of the sixth and final round. Fox found the energy to go hunting, whilst Davies tucked up and smothered the attacks. Davies adapted to score with well-timed counters, twice stinging Fox in the final 30 seconds and seal a valuable learning fight. 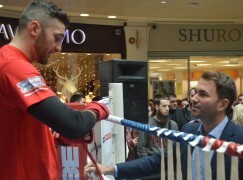 There are high hopes for Davies, who is backed by Hayemaker Promotions – the company of former two-weight world champion David Haye, and he will return on MTK Global’s show at the Vale Sports Arena on Friday 7 September.